"Exploration in 4WD across Uyuni, the the world's biggest salt flat found amongst the world's highest deserts"
Remains of disappeared oceans, the red deserts of Sajama, Uyuni, Lipez and the salt flats of Coipasa and Uyuni: all are results of the huge tectonic crush between the Pacific block and the mass of the high Andes. 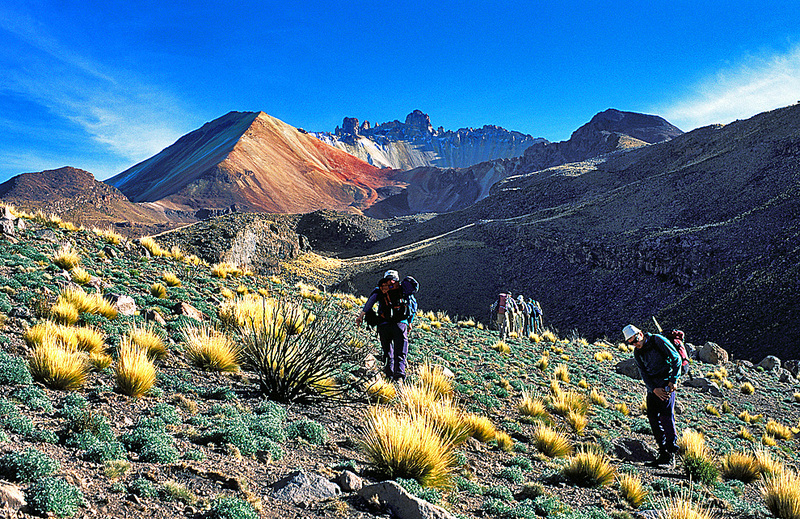 The volcanoes rise over colourful deserts and salt fields where pink flamingos can also be found. 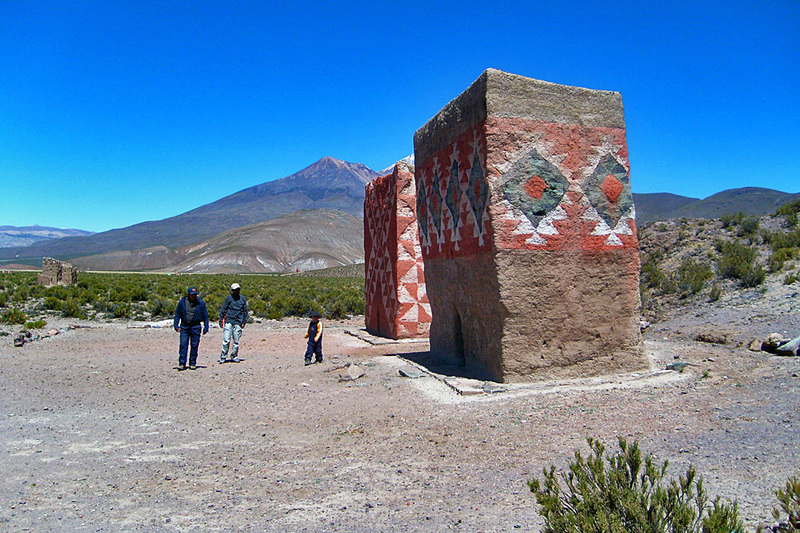 The natural beauty and the culture of Chipayas and Carangas will all make this unmissable trip feel like an "austral Tibet". 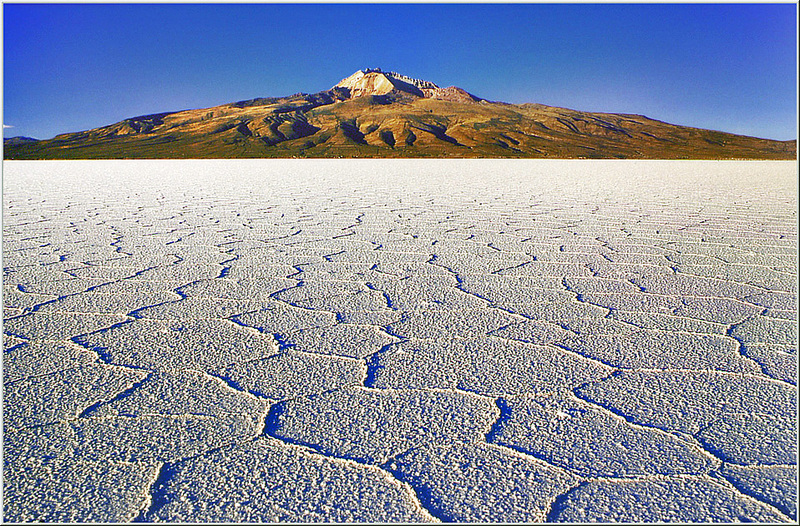 The Uyuni salt flat consists of a compact crystallized crust 10 metre thick that expands for more than 10,500 square kilometres. Coipasa is smaller than Uyuni. 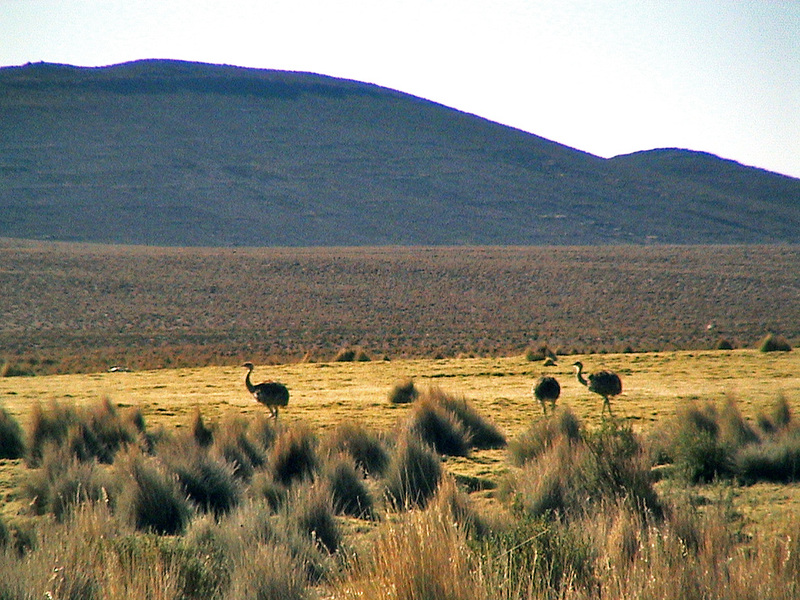 Sajama National Park is home to a rare range of wildlife including pumas, huemules, viscachas, vicuñas, guanacos, rheas and tattoos. 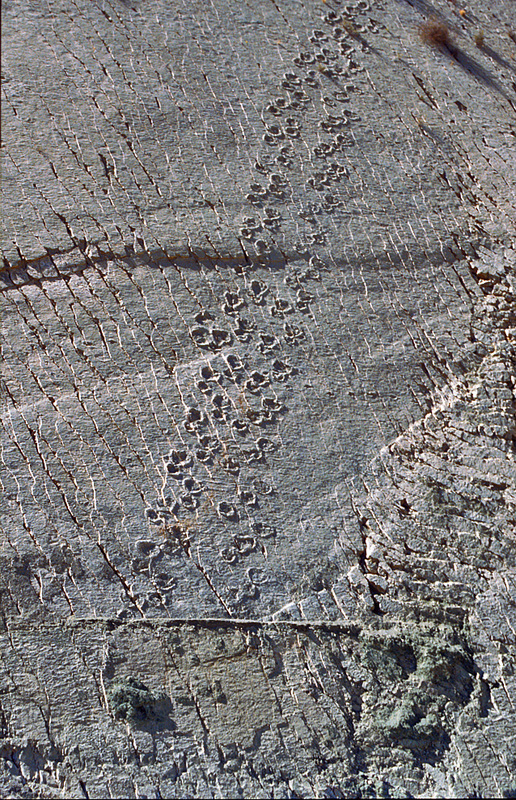 The microclimates that exist in this region give birth to the endemic types of polylepis trees and lepidophyllum bushes which form the highest forest of the world. 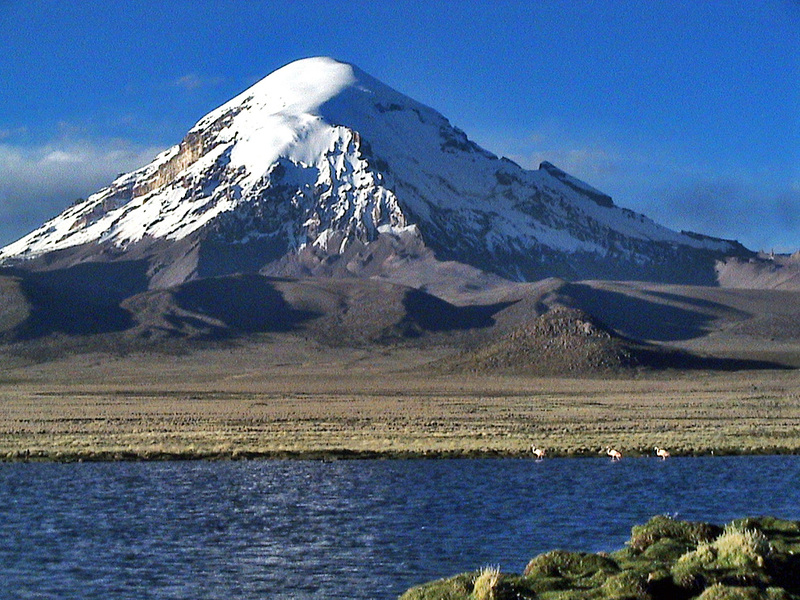 We will move from La Paz in 4X4 cars fully equipped towards the Bolivian Atacama desert. We will drive on abandoned miner's roads and tracks. 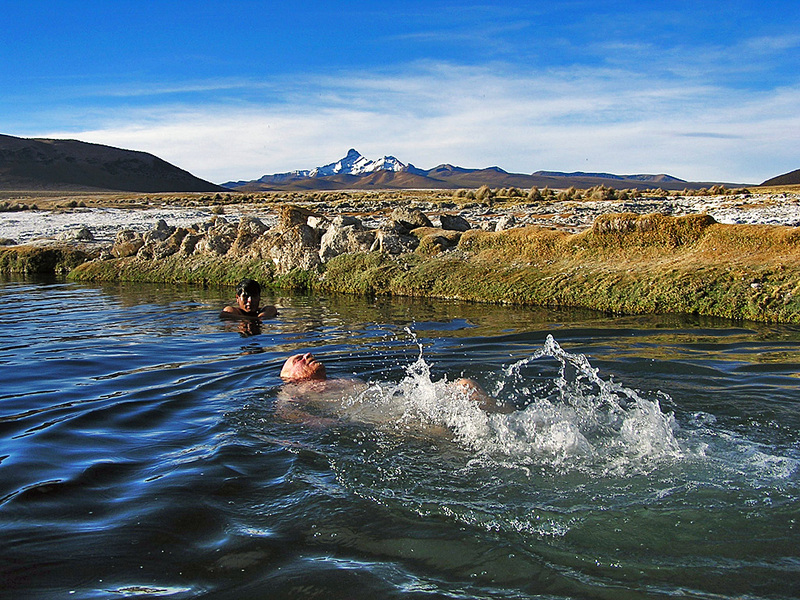 The Azimut Explorer staff and you will hike to the crater of volcanoes, forests of keñua trees, and set foot on the salt flat of Uyuni. Before setting off on the trip, we will acclimatize beside the fabulous Lake Titikaka. DAY 2: CITY TOUR. 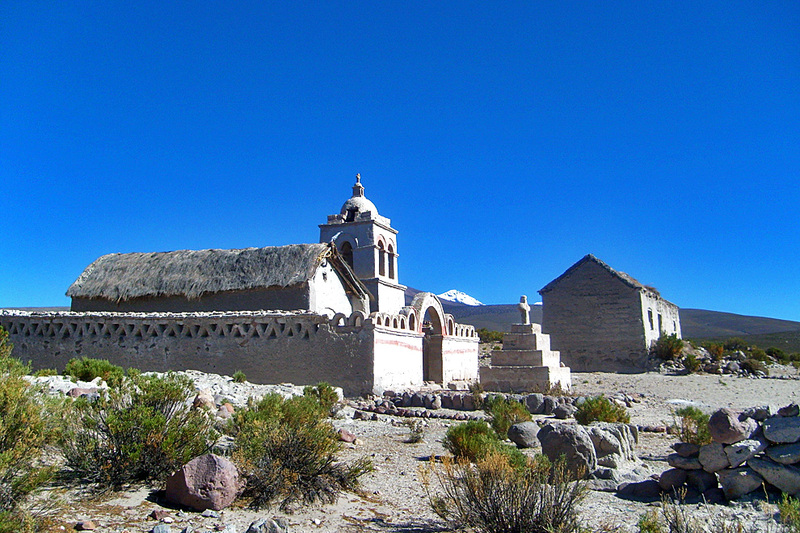 Half day to discover the town of La Paz and its indigenous markets, museums and viewpoints. Hike in the eroded landscape of Moon Valley. DAY 3: DRIVE TO COPACABANA & TITIKAKA. A series of cultural highlights to visit en route. By boat we land on Sun Island to find unique traditions and folklore. Lodge. DAY 5: DISCOVER COPACABANA & RETURN TO LA PAZ. Visit indigenous markets, streets, viewpoints and the church of Copacabana. Car transfer to La Paz. Hotel. DAY 9: TO COQUESA HAMLET. Drive on the salt flats of Coipasa and Uyuni. Giant cactus in Isla Incawasi. Lodge. DAY 10: CLIMB TO THE TUNUPA CRATER. Full day trek to a great viewpoint. Visit a cave with millenniums-old mommies. DAY 11: TO UYUNI CITY. Drive and hotel. Cemetery of old trains to view. DAY 12: TO POTOSI CITY. Drive and hotel. DAY 13: VISIT A COLONIAL ACTIVE MINE & COLONIAL ROYAL MINT. A social impression of the old mines of Potosi. Fascinating history in the Royal Mint Museum. 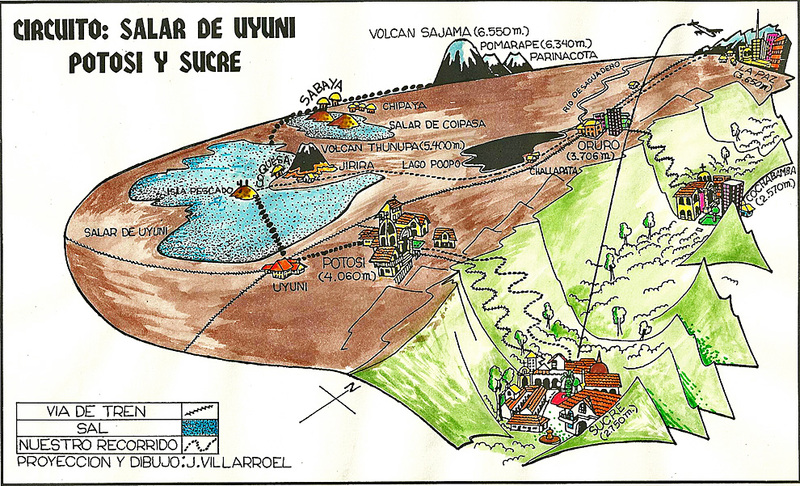 DAY 14: TO SUCRE CITY & EXCURSION TO CAL ORCK'O. 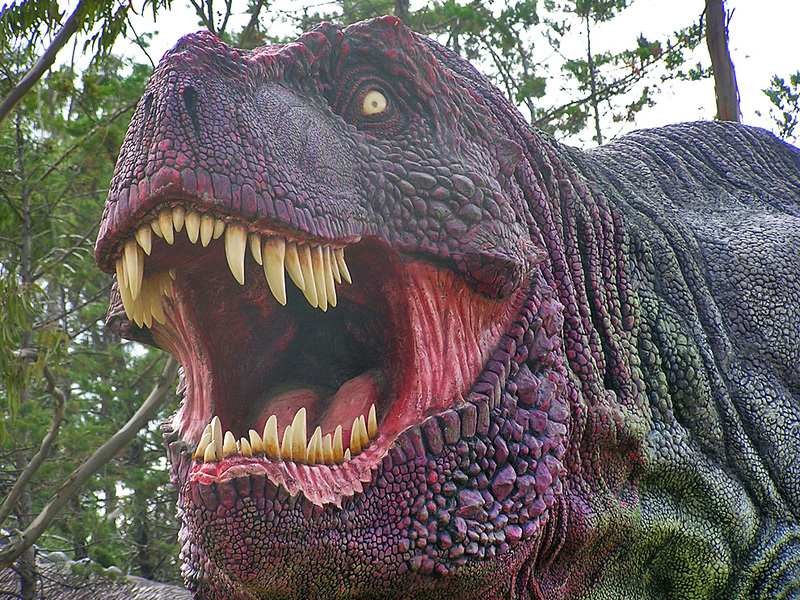 Drive to Sucre and half day tour to see Cretaceous dinosaur footprints. Hotel. DAY 15: RETURN TO LA PAZ. Regular flight. Reception in La Paz and transfer to hotel. DAY 16: TIWANAKU. Half day tour to visit Pre-Inca palaces and temples. BRING: anorak, sleeping bag, warm gloves, polar jacket, down jacket, thermal underwear, mountain glasses, head torch, sun block, sun hat, bathing suit.